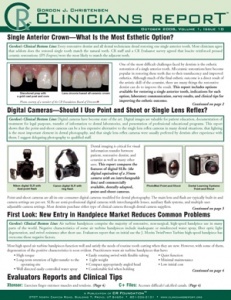 Single Anterior Crown- What Is the Most Esthetic Option? Digital Cameras—Should I Use Point and Shoot or Single Lens Reflex? Single Anterior Crown—What is the Most Esthetic Option?